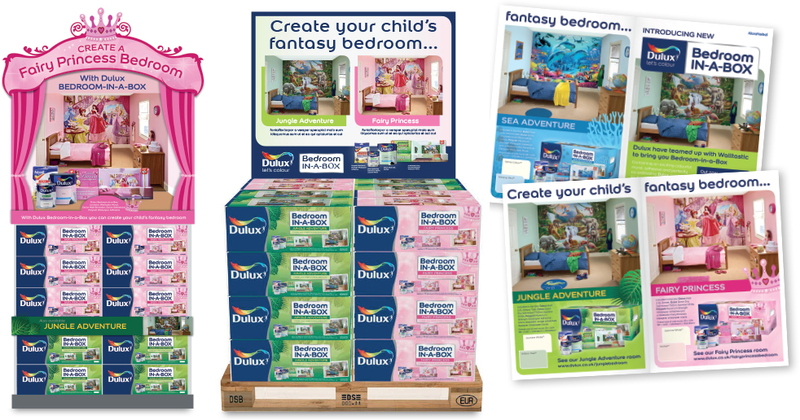 Dulux briefed us to create packaging, collateral and point of sale for their new Bedroom-in-a-Box concept. The idea was simple: a box containing everything needed to create a fantasy child’s bedroom. We had to ensure the pack grabbed consumers’ attention, inspiring them to undertake the project. Our colourful boxes are fun and impactful with strong background designs that reinforce the different themes. Appealing room set photography shows the final result – a dream bedroom kids will love and parents will be proud of.